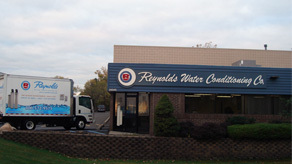 Reynolds Water Conditioning was established in 1931, and is Michigan's oldest water conditioning treatment company. Still owned and operated by the Reynolds family, Reynolds Water Conditioning takes pride in providing the highest quality products, at a cost-effective price. All of our products and systems are guaranteed to solve your water problems. In addition, all of our components meet or exceed recognized industry standards. We are founding members of the Water Quality Association, Michigan Water Quality Association, and certified Water Quality Specialists. We are happy to evaluate your water quality needs and problems, at no cost or obligation to you. Reynolds Water Conditioning Co., serves residential, commercial, and industrial customers throughout Southeast Michigan and beyond. Tens of thousands of families and businesses have benefited from Reynolds quality water. Whether you have well water or city water, we have the products and expertise to provide high quality water at value prices. Call us or send an email and we would be pleased to design a water treatment system for your specific needs, at an affordable price. The decisions you make about your water can affect your health, happiness, and home. Whether you are a Reynolds customer or someone considering our products and services, it is important that you know what you can expect from us. Since 1931, Reynolds Water Conditioning Co has placed the highest priority on maintaining superior levels of customer satisfaction. We promise to treat you as an individual with respect and courtesy. We will make every effort to be responsive to your needs. We promise to do what we say we will do. If we tell you we will be calling, expect that call. When we tell you we are going to be at your home, expect us there. Personal attention, prompt and competent service, and attention to detail makes us different. Although different, these responses all add up to the same thing – doing things right the first time and treating you as we’d like to be treated. We call it “Reynolds Quality Service”. We promise to maintain a friendly, courteous and well-trained staff of experienced employees committed to the highest levels of customer service. Reynolds’ values its employees as much as it values you. Our employees are trained to offer the best possible service and you can expect to get all of the information you need, whenever you contact us. The company is committed to treating each employee with respect, the same way we are committed to treating you, our valued customer. We promise to regularly review our prices, products, and performance in an effort to provide you with the water quality you want at the fairest possible price and service second to none. In short, we promise to maximize the value of your business with Reynolds. Reynolds Water Conditioning has exceptional products, competitive prices and complete service to provide you with great water at a fair price. To maintain this value, we promise to continuously monitor our products and services to respond to the changing needs of our customers into the future. We promise our appreciation for your continued loyalty. Our outstanding customer retention rate is a testimony to the loyalty of our customers. 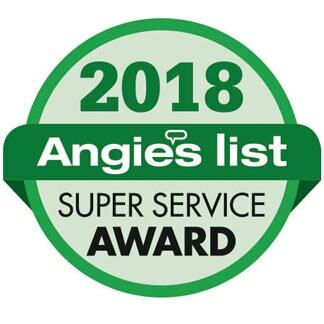 The frequency with which our customers refer their friends, family and neighbors to Reynolds is an indication to us that we continue to hit the mark in providing superior customer service. We appreciate your business and encourage your input to make certain the company meets your water quality needs.